Picture South Dakota and the true essence of America comes shining through. 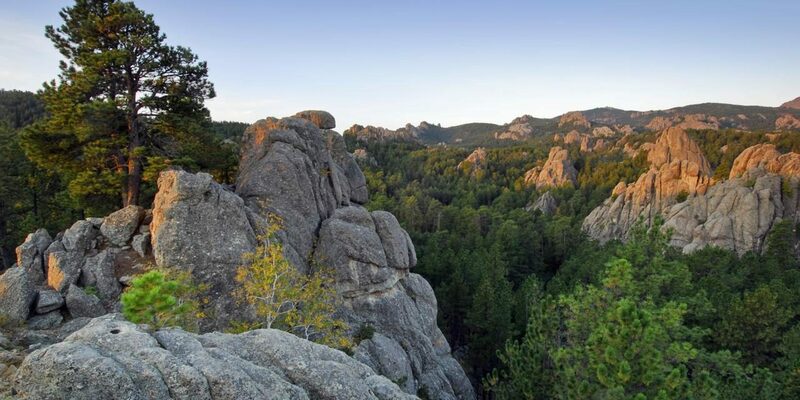 Mount Rushmore may be the face of South Dakota tourism, but there’s much more to see than four presidential heads carved in granite—and more areas to explore than the ever popular Black Hills. 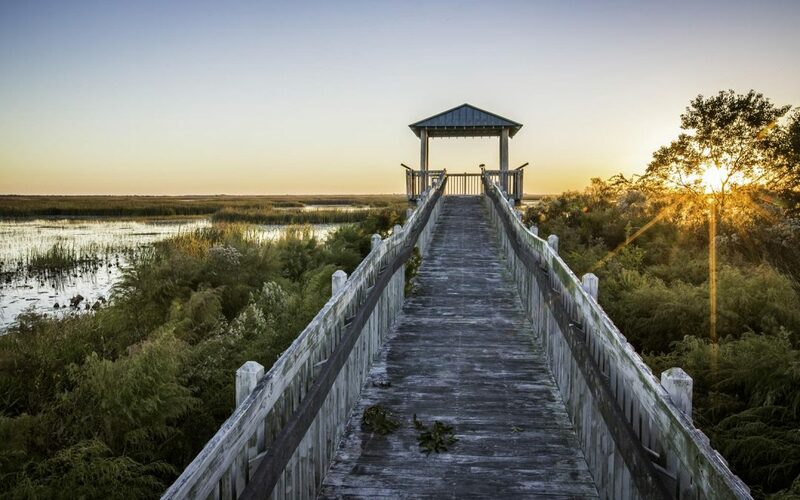 This is a land of wide-open spaces, a land packed with the romance of our pioneer past. The state’s Wild West lore and Native American heritage alone merit a trip. 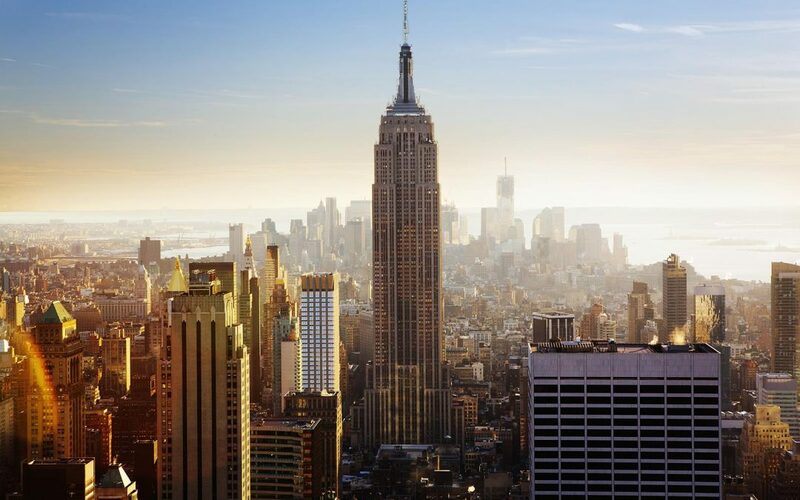 Our 16th largest state stretches 380 miles from east to west, from the tabletop flatness of the eastern farmlands to the forested hills and ranch country of the west. Dividing the state approximately in half is the mighty Missouri River, prized by outdoors-minded vacationers for its huge reservoirs, known as South Dakota’s Great Lakes. A good place to start your trip is Rapid City, a gateway for air travelers and the portal for the Black Hills region of western South Dakota. 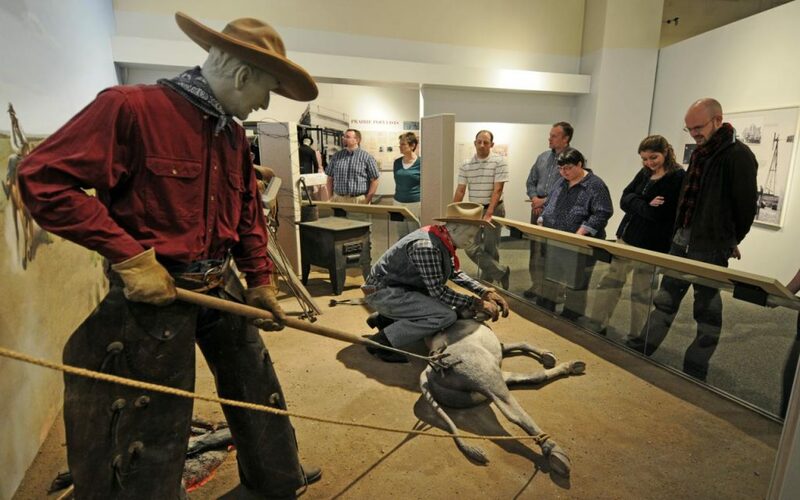 The Journey Museum chronicles the region’s history from dinosaur days to more recent times, covering every-thing from Lakota Sioux culture to the arrival of miners, mountain men and military expeditions. Bear Country U.S.A. is a drive-through park featuring North American wildlife and the world’s largest collection of privately owned black bears. For snakes, lizards and other scaly creatures, check out Reptile Gardens. 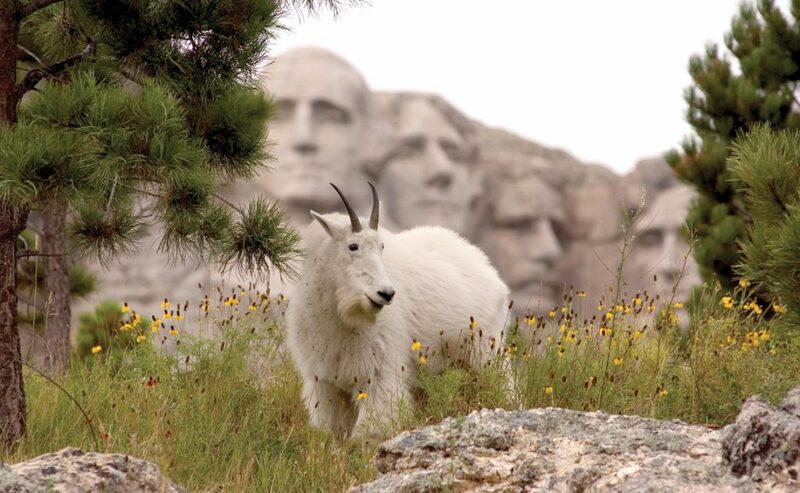 If you don’t get your presidential fix at Mount Rushmore, take a stroll through The City of Presidents, a collection of life-size bronze statues of U.S. presidents on the streets of downtown Rapid City. Groups can enjoy cowboy entertainment and a hearty meal at venues like Flying T Chuckwagon Supper & Show and Fort Hays Chuckwagon & Music Show. Mount Rushmore National Memorial, celebrating its 75th anniversary this year, awes even the most jaded traveler with its sheer size, its artistic splendor and the lofty ideals it embodies. Most inspiring is the patriotic pageantry on summer nights in the amphitheater, when a ranger talk and stirring movie are followed by the playing of the National Anthem and gradual floodlighting of the four presidents’ faces, stark white against the starry Dakota sky. The fifth granite face in the Black Hills appears in the form of famous Lakota leader Crazy Horse. The Crazy Horse Memorial, a work in progress since 1948, is the world’s largest mountain carving and eventually will show the fierce warrior astride a horse; a huge visitor complex features the Indian Museum of North America. In season a multimedia laser light show illuminates the giant carving. 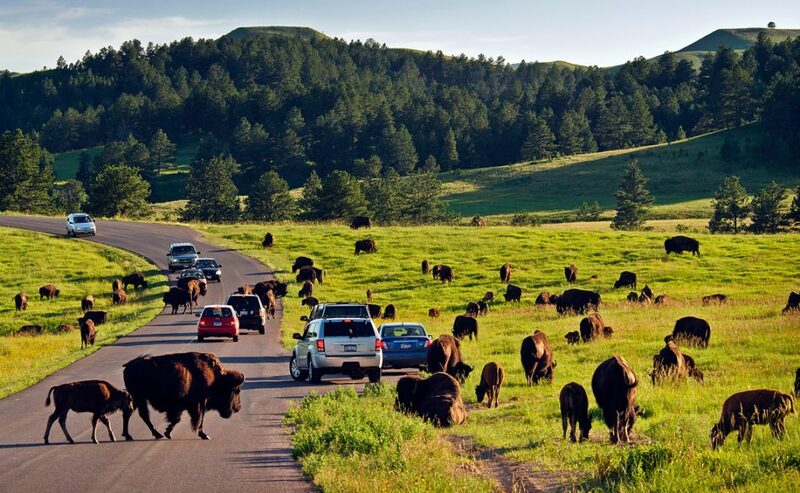 At Custer State Park, a nearby crowd-pleaser, open-air Jeep safaris venture into the backcountry for closeup looks at one of the nation’s largest publicly-owned buffalo herds. Other watchable wildlife includes pronghorn antelope, mountain goats, bighorn sheep and prairie dogs. The park can be explored on foot via one of 11 hiking trails, all of which allow mountain biking (rentals available at the park). One trail goes to the top of 7,242-foot Harney Peak, the highest point east of the Rockies as well as the highest point in the state. Custer State Park’s four lakes are stocked with fish and offer swimming beaches. 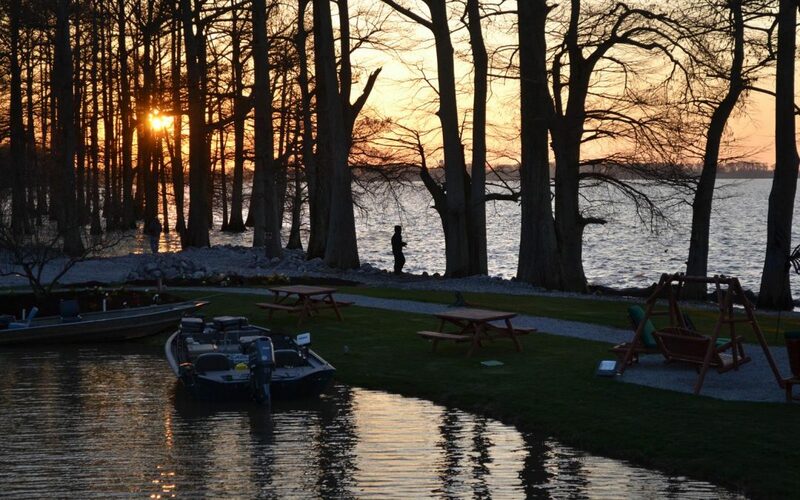 Accommodations include four historic lodges. In the northern Black Hills, the town of Deadwood captures the spirit of the American West. Founded in 1876 as a mining camp, it was built on gold, gambling and gunpowder. Deadwood, once known as the wildest and wooliest town in the West, today is one of the largest historic preservation projects in the nation. 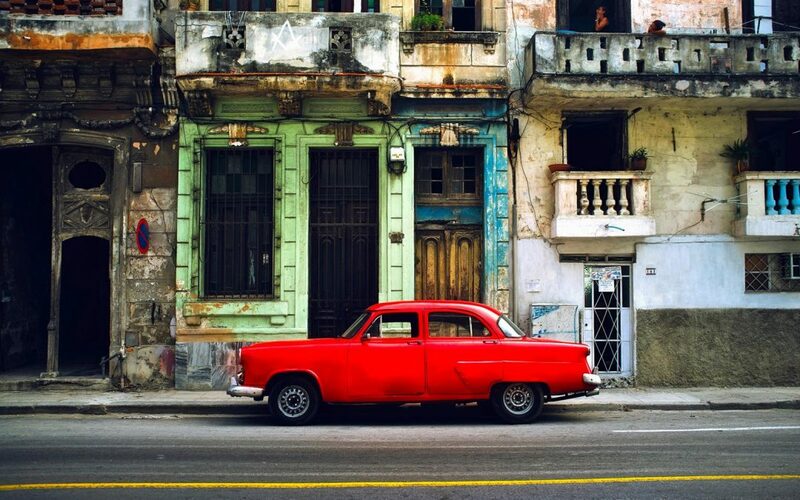 Old storefronts and warehouses along the brick-paved streets are now casinos, restaurants and hotels. In season, actors take part in a daily shoot-out on Main Street. Tourists can take underground tours at Broken Boot Gold Mine and visit the graves of Calamity Jane and Wild Bill Hickok at Mount Moriah Cemetery (Boot Hill). Near the town of Hot Springs in the southern Black Hills, groups can tour The Mammoth Site, a working paleontological site and museum, and mingle with wild mustangs on a bus tour of Black Hills Wild Horse Sanctuary. Not far away is Wind Cave National Park, which offers one-hour tours of the world’s fourth-longest cave system. 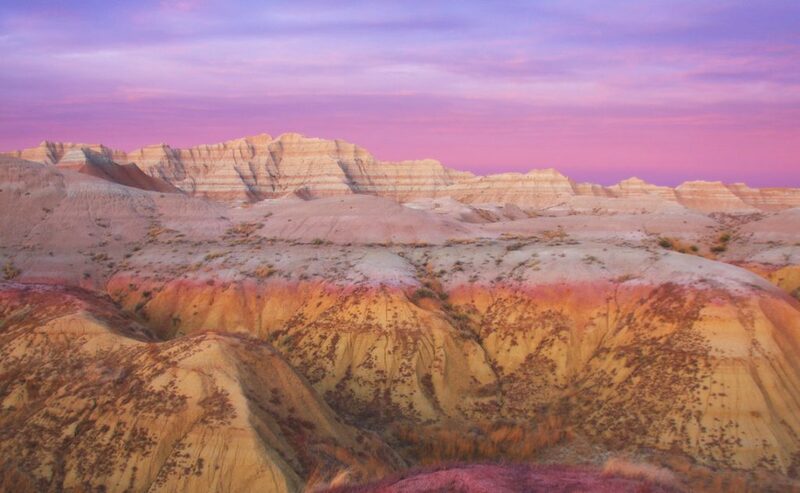 Badlands National Park lies 90 minutes southeast of Rapid City. Both barren and beautiful, the park presents stark, eerie moonscapes of deep gorges, jagged spires and bands of color-streaked rocks sculpted by eons of wind and water. A trip to or from the Badlands is not complete without a stop at Wall Drug, one of America’s favorite roadside attractions since 1931. Besides every imaginable cowboy and Indian souvenir for sale, the retail/dining complex in Wall, 50 miles east of Rapid City on I-90, offers picture-taking props and animated displays. Three dining rooms boast a world-class collection of Western and Native American art. Signature menu items include hot roast beef sandwiches, buffalo burgers, homemade donuts and five-cent coffee. The town of Wall, located at the northern edge of the Badlands, is less than an hour north of Pine Ridge Indian Reservation, home of the Oglala Sioux. Visitors to the reservation can admire Native American artwork—paintings, beadwork, quillwork, wood and stone carvings—at The Heritage Center at Red Cloud, on the campus of Red Cloud Indian School. The Red Cloud Indian Art Show is held from early June to early August. Five tribes maintain their headquarters along the mighty Missouri River in the Great Lakes tourism region of central South Dakota.Threading the region from the Nebraska border to North Dakota is the Native American Scenic Byway, which abounds with memorial markers, museums and other sites that commemorate the heritage of the Sioux Nation. It passes through the lands of the Yankton, Lower Brule, Crow Creek, Cheyenne River and Standing Rock tribes. On the byway near Fort Pierre, the Buffalo Interpretive Center explains the importance of buffalo in Native American culture through exhibits and videos. Owned by the Lower Brule Sioux tribe, the center overlooks one of its three bison pastures. Across the river in Pierre, the state capital, the South Dakota Cultural Heritage Center preserves South Dakota pioneer and Lakota heritage. Located near the State Capitol, it tells the stories of early homesteaders and gold miners. Tours of the capitol are available. The Akta Lakota Museum & Cultural Center, at St. Joseph’s Indian School in Chamberlain, is another tour highlight in the Great Lakes region. On display are feather headdresses, beaded moccasins, a mounted buffalo and a 36-foot diorama of the prairie as it sweeps from the Missouri River to the Black Hills. Eastern South Dakota also abounds with discoveries. In Mitchell, the Dakota Discovery Museum is a historic village complex that includes an 1885 schoolhouse, 1909 country church and 1900 train depot. Exhibits spot-light Indian cultures, fur trading, railroading, farming and ranching, and there are several art galleries. to showcase the fruits of their harvest, are available. Also in town is Mitchell Prehistoric Indian Village, an archaeological site with excavated artifacts on display. In De Smet, the “Little Town on the Prairie,” groups can visit homes that inspired author Laura Ingalls Wilder’s beloved “Little House” books. 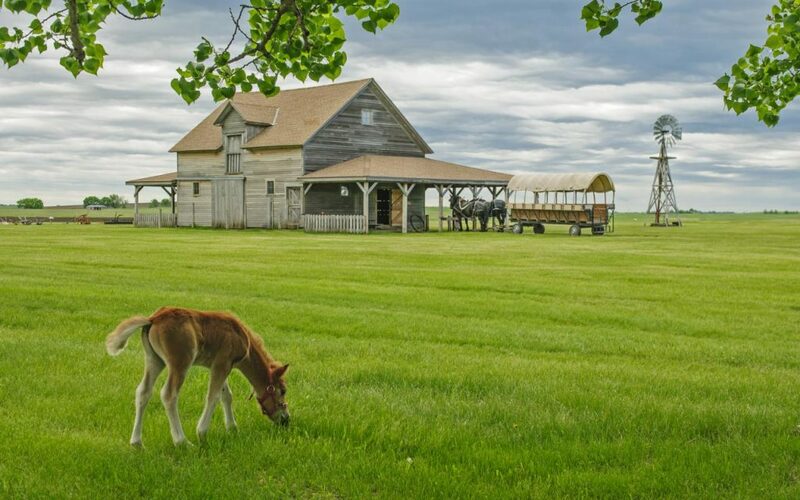 The Ingalls Homestead offers covered wagon rides and hands-on pioneering activities. Watertown is home to another famous South Dakotan, Terry Redlin, one of the most widely collected painters of wildlife and Americana. The imposing Redlin Art Center, a colonial-style, four-story brick building supported by 24 granite columns, offers a video presentation and displays more than 160 of his original oil paintings. a triple waterfall, the park features historic ruins, hiking and biking trails, and the Overlook Cafe, located in the former Sioux Falls Light and Power Company hydroelectric plant. The park’s annual Winter Wonderland lights extravaganza takes place from mid-November to early January. Overflowing with group-friendly attractions, Sioux Falls also offers the new, 12,000-seat Denny Sanford Premier Center, which hosts major touring acts; Washington Pavilion, the city’s first high school featuring a performing arts center, visual arts center and interactive science center; downtown’s SculptureWalk, an extensive outdoor exhibit; Great Plains Zoo & Delbridge Museum of Natural History; and Sertoma Butterfly House & Marine Cove. From city pleasures to wilderness treas-ures, South Dakota abounds with tempting possibilities for group travelers.